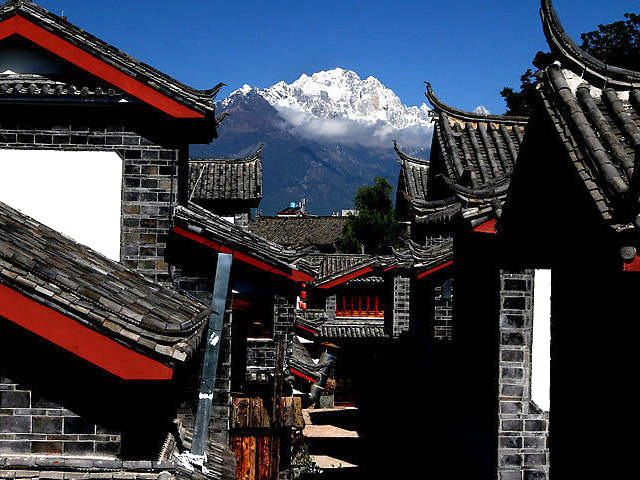 One of the parts of Jade Dragon Snow Mountain, it lives in the Yi and Zang Minorities. Yak Meadow got its name because the local people like to pasture their Yak here. The landscape rises and falls on the meadow. 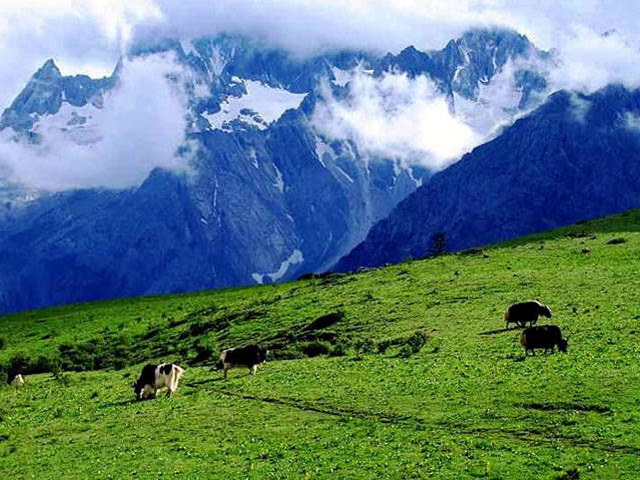 In spring and summer, Yaks with black and white skin wander in grass and all kinds of flowers. In autumn and winter, the mild edge of the meadow becomes a sharp contrast with the peaks of the snow mountain. It's typical meadow scenery, a holy land for sightseeing and relaxation. 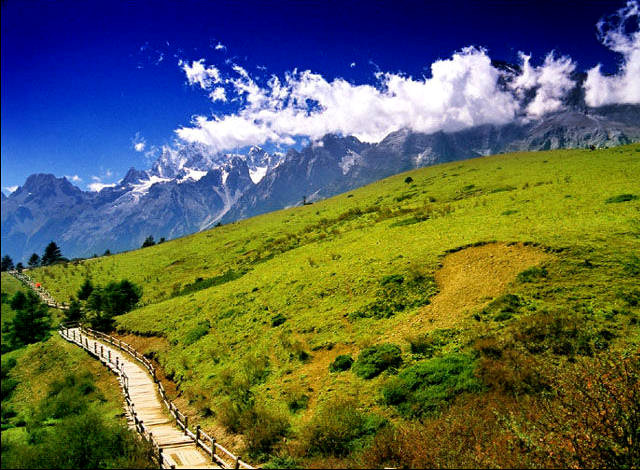 There are many scenic spots on the meadow, such as the Snowy Valley, the special Yak Glacier, the colorful Meadow and primitive Pine Tree Forest. High latitude and wide meadow give you a board view. Looking down at Ganhaizi, Cloud Fir and continuous mountains, you will find that the snow mountain is so close to you. Clouds circle around the waist of mountain. Cool wind gently blows on your face. All the things here are so peaceful and beautiful. Follow the trekking trail and walk around the forest. 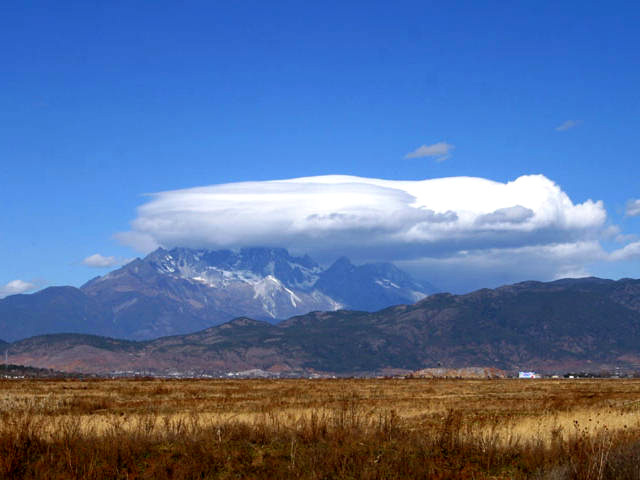 Jade Dragon Snow Mountain is the spiritual prop of the Naxi. 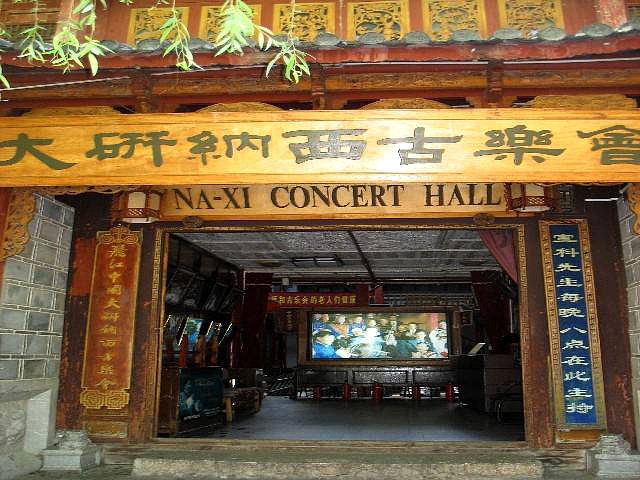 The God of Jade Dragon, Sanduo, is the greatest protector of the Naxi people. When you arrive at the summit, have a simple Tibetan style breakfast at the mountain top. Hot Yak milk is something that can not be missed, at this moment.